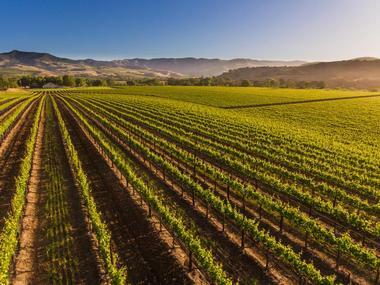 There are many things to see and do in Santa Ynez, but what they are most renowned for are the several award-winning vineyards and wineries that can be found there. The valley is the heart of Santa Barbara’s Wine Country and has more than 50 varietals which thrive in the area’s diverse micro-climates. Other attractions include the culture-filled towns of Solvang or Los Alamo, and the artifacts at Santa Ynez Historical Museum and Parks-Janeway Carriage House. Situated between the San Rafael Mountains and the Santa Ynez Mountains, the Santa Ynez Valley is a charming vacation destination that is filled with gorgeous scenery and wonderful weather all year round. 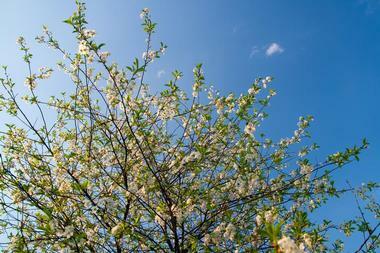 There are six different communities within the valley, each of which offers a different experience. For example, Los Alamos has a more vintage western feel whole Solvang is more European. You can spend your time there walking through the towns, taking in the history and culture, and dining on delicious foods while trying out some of the many wines the valley is known for. Sunstone Vineyards & Winery is a family owned and operated endeavor that has been the passion of the Rice family since they moved there in 1989. They are one of the first organic vineyards in the area, and all of the world-class wines they produce use sustainable business practices. It’s a beautiful place for you to visit while in Santa Ynez, as it transports you to a tranquil provincial French countryside. 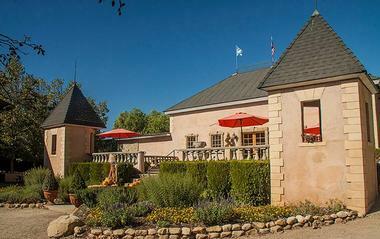 You can relax in the peaceful retreat and enjoy a glass of wine in the courtyard or in their stone barrel-aging caves. You can also have gourmet lunches in the estate setting; have the ultimate picnic experience under the shade of an olive tree. Indulge in handcrafted wines from California’s Central Coast with a trip to the Bridlewood Estate Winery. All of their wines are expertly produced in state-of-the-art tanks and barrels that are of the highest standard, and each professional there ensures that no detail is left unnoticed. The winery sits on a stunning 105-acre estate that is built in a rustic, Spanish style. You can spend your time exploring the grounds, touring the winery, and having intimate tastings in their barrel room. The lush and scenic vineyard is the perfect place to unwind when in Santa Ynez. 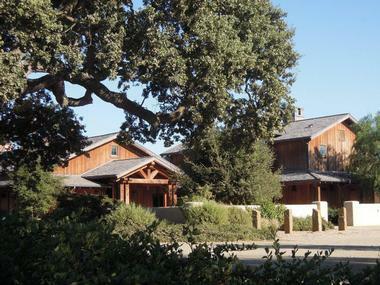 Roblar Winery & Vineyards can be found in the heart of Santa Barbara County on an oak tree-studded 40-acre property. Authentic, rustic, and bold, the winery and vineyard offer one of the area’s most memorable experiences as you and friends come together with great wine and food. The stunning 5,000 square foot tasting room includes everything from an indoor-outdoor stone fireplace to a trellis-covered patio where you can take in the panoramic views of the gardens. For a more intimate dining experience, reserve the Potting Shed, which is one of the most renowned private spaces in the Santa Ynez Valley. With an outstanding portfolio of wines, the Kalyra Winery offers an entertaining and educational place to learn about winemaking and try some of the imaginative and delicious Kalyra wines. The winery is nestled amongst hundreds of acres of rolling vineyards, ensuring that you enjoy sweeping views of your surroundings during the memorable wine tasting. You can spend your time at the wonderful tasting bar, on the full-length deck, enjoying a tranquil picnic, or at the extensive gift shop. They host many events at the winery throughout the year, including one of the Central Coast’s best wine-related events, The Great Grape Stomp. 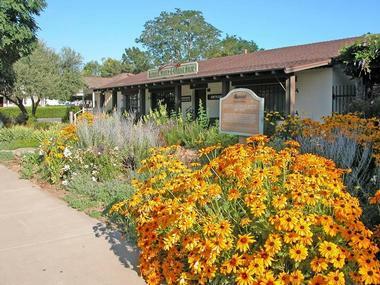 The Santa Ynez Historical Museum and Parks-Janeway Carriage House all started back in 1961 when a group of residents recognized the need to preserve and celebrate local history. 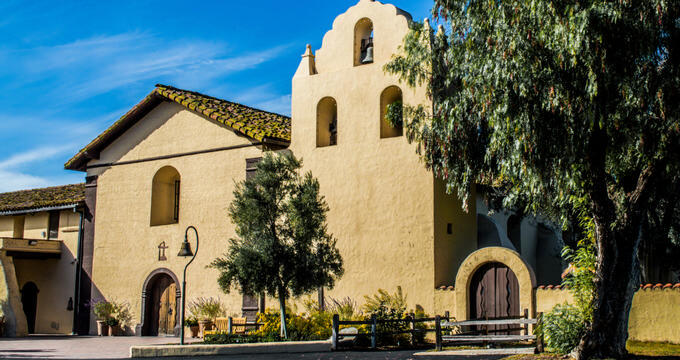 They organized the historical society and opened a small, two-room museum - the museum is now one of the most stunning buildings in Santa Ynez. Even more breathtaking is the array of artifacts and memorabilia that you will find inside of the museum. Exhibits include the Jeannette Lyons Costume Room, the Native American Room, the Pioneer Room, the Valley Room, and the Ellen Gleason Library which has an extensive archive collection. 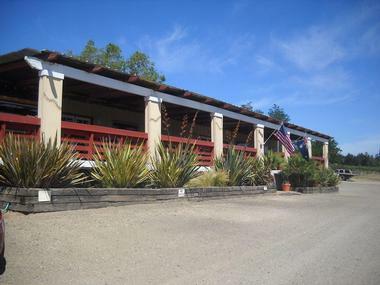 Located with California’s beautiful Santa Ynez Valley, Rancho Olivos is a family owned and operated business that has over seven acres of thriving olive trees on their ranch. 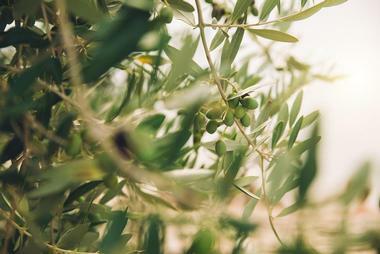 From this, they create local, fresh, and flavorful handcrafted extra virgin olive oil - people come from all over to the taste the artisan oils as they are the only olive oil producers in the valley. 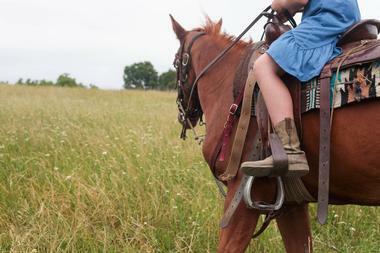 You’re more than welcome to visit their ranch, farm, and orchard for a day of relaxation and fun. The family is more than happy to converse with you about their history and processes while enjoying complimentary tasting of the award-winning olive oils. Family owned and operated, the Brander Vineyard’s Fred Brander is often called the “King of Sauvignon Blanc” in the wine world. Rightly so, as the wines produced on the estate vineyard infuse traditional methods of wine making with modern chemistry and high-end tools. Wine tastings at the Brander Vineyard are held in a temperature-controlled setting that reflects the family, as many of the paintings on the wall were painted by Fred’s father. During your visit there you’ll be able to try an array of white and red wines such as the Cuvee Natalie, au Naturel, Cabernet Sauvignon, and Rose. Their on-site gift shop has many items as well, including their popular lavender-infused grapeseed oil. Vincent Vineyards is the brainchild of the Vincent family who enjoyed the beauty of the Santa Ynez Valley long before they opened their own vineyard in 2005. Knowing that expert farming is paramount to developing an exceptional vineyard, Vincent Vineyards ensures that all of their wines are produced with the finest cultivation, stock, and soil available. Visit their winery and bar for an amazing tasting experience; you can choose to enjoy yourself indoors in the main bar or outdoors on the covered terrace overlooking views of the vineyard and surrounding mountains. You can also choose to go on a tour of the winery and vineyard to see all the behind-the-scenes magic. 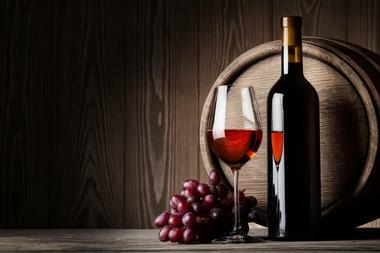 Santa Barbara County’s #1 rated wine tour company, Stagecoach Wine Tours Santa Ynez has entertained guests from all over the worked with their extremely fun and educational wine tours. The knowledgeable guides are professional and passionate as they take you through the breathtakingly beautiful wineries to sample some of the area’s finest foods and wines. You’ll be whisked away to a carefree atmosphere as you visit boutique wineries, vineyards, cellars, and tasting rooms, meeting the faces behind the wines and learning about their unique processes. 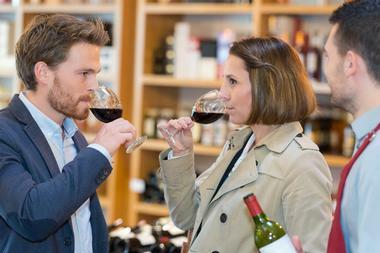 You can choose to go on their popular Wine Lovers Tour or opt for a Private Wine Tour that is personalized to your taste. Vino Vaqueros Horseback Riding is a family-owned endeavor operated by the Ganibi’s, of whom Peter is a former professional polo player, horse trainer, and life-long horse enthusiast. They offer a unique and unforgettable opportunity to experience the serenity of the beautiful Santa Ynez Valley on horseback. The private ride is led by one of their knowledgeable guides and will take your through the breathtaking ranch and many of the surrounding vineyards. After the ride, visitors will be able to relax by the pond and take in views of the vineyards as they sample some of the local wines. With two California-based locations, Carr Winery’s Santa Ynez Tasting Room & Warehouse features a 3,800-square-foot climate-controlled facility that stores the many delicious wines produced by Carr. The open-floor layout lets you see where the wines are waxed, bottle-aged, and crated for shipment all from the comfort of the u-shaped bar and booths that are available there. You’re invited to visit with friends and family and enjoy wine on tap, wine by the glass, and private wine tastings which you can schedule in advance. Popular wines include the Carr Sauvignon Blanc, Carr Pinot Gris, and Carr Grenache all of which are made with Santa Barbara County grapes grown by Ryan Carr. Enjoy the fast-paced 24/7 gaming action of tables games, slot machines, bingo, and poker any time you want at the Chumash Casino in Santa Ynez. Their 115,000 square foot casino floor has nearly 2,500 slot machines, from classic favorites all the way to the newest and hottest slots. 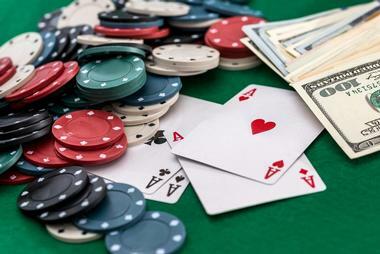 You can also enjoy yourself at one of the 45 Vegas-style table games, no matter if you’re into Ultimate Texas Hold’em, Spanish 21, Blackjack, or more. A dedicated Poker Room is available at the casino and it has several facilities to make sure guests have an amazing time at one of the 12 tables. If Bingo is your game of choice, there’s no better place to play than the casino’s Samala Showroom where buy-ins are low and pay-outs are high. Located within the Santa Ynez Valley, Sedgwick Reserve is a world-class research, conservation, and education facility that is one of the largest and most diverse reserves of its kind in the United States. The reserve extends over nine miles and is rich in natural resources; other aspects include two complete watersheds and a telescope. It’s the perfect place for visitors of all ages to come learn about the outdoors through hands-on investigations and explorations of the area. Though it is generally closed to the public, there are several classes and special events held in the Sedgwick Reserve throughout the year. 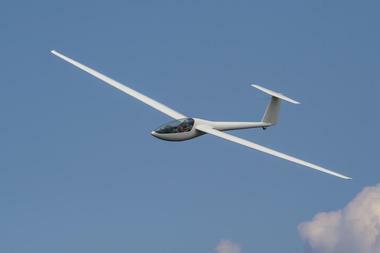 Santa Barbara Soaring is the perfect company to have a glider experience with, no matter if it’s your first or your fortieth. They’ve been providing people with the opportunity to have a magical experience gliding over the central coast of California for over four decades. You’ll be paired with highly experienced staff, from their experienced FAA-certified pilots to the professional ground crew, all of whom work together to ensure you have a safe and memorable experience. The free-floating glider will let you see epic views of the Santa Ynez Valley; book one their many tours such as the Scenic Flight Tour, Mountain Adventure Tour, Mile High Tour, and Star Tour. Crown Point Vineyards is an estate winery that is dedicated to crafting highly distinctive premium wines that rival the best throughout the world. It is a true vanguard in the region and can be found along the foothills of Santa Barbara’s Happy Canyon Valley. The first release was a 2013 vintage 100% estate Cabernet Sauvignon that reflects the unique character of the estate and its distinct climatic conditions. Visitors from all over the world head to the vineyard and winery for a unique tasting experience which includes a tour of the grounds and facilities, a tasting of the Crown Point Cabernet Sauvignon and the Crown Point Estate Selection, and a delicious cheese pairing. Brothers Restaurant at the Red Barn is the brainchild of the Nichols brothers, both of whom have been owners to several restaurants since 1996. Their passion comes from their love for good food, creative cooking, and a sense of family, and the restaurant reflects this. 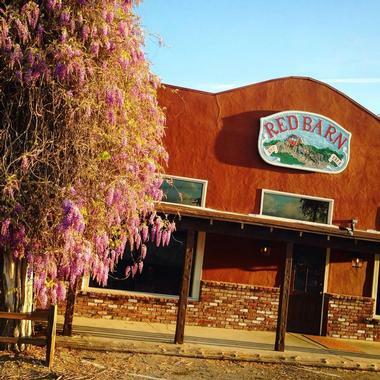 Locals and visitors alike flock to the Brothers Restaurant at the Red Barn in search of refreshing wine, legendary hospitality, and made-from-scratch cuisine that is innovative and delicious. Crowd favorites include the fried Pacific oysters, grilled prime top sirloin, oven-roasted New Zealand rack of lamb, and pan sautéed Idaho rainbow trout which is topped with a flavorful lemon-chive sauce. 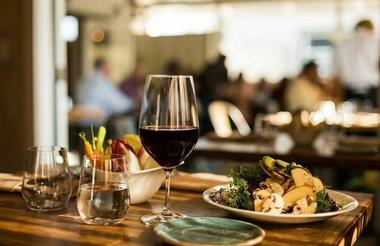 If you’re looking for authentic Italian cuisine with a contemporary twist, then the S.Y. Kitchen is the place to go. The restaurant opened in 2013 and is housed in a beautiful three-room, Italian-inspired California farmhouse. You can choose to dine in the warm and welcoming Front Room, with a bit of fresh air on the Porch, or in the cozy Dining Room, which is perfect for large family dinners. Enjoy some pre-dinner cocktails in the perfect intimate setting of the outdoor Courtyard to start your night off right. Some of the most popular items on their menu are the hearty minestrone soup, the spinach ricotta gnocchi with porcini mushrooms and duck ragu, and the organic King salmon with puttanesca sauce. 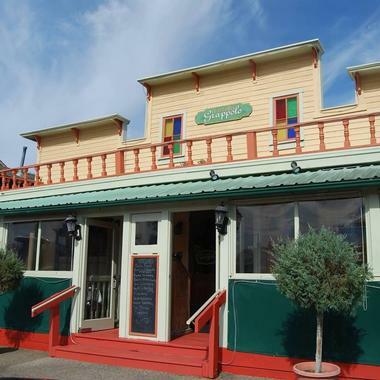 Located within the scenic Santa Ynez Valley, Trattoria Grappolo is a lovely Italian bistro that was founded in 1997. The restaurant has a family-friendly atmosphere that is only made better with the aroma of real espresso coffee and freshly baked pizza that fills the place. Diners of all ages will an array of culinary concoctions that will please their taste buds. Some of the restaurant’s specialties include wood-fired pizzas, authentic Italian pastas, and fresh seafood dishes. Delicious items from their menu include the spinach gnocchi with broccoli, the linguine with shitake mushrooms and shrimp, and the seafood stew which is filled with calamari, shrimp, clams, salmon, and mussels. Pair your meal with a refreshing glass of wine from their extensive list or a mouthwatering dessert like the house-made tiramisu. 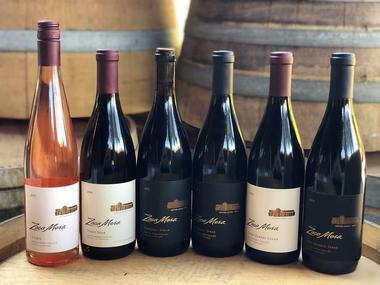 Zaca Mesa is a premier vineyard and winery in Santa Barbara County; their history goes all the way back to 1972 when they were only the third wintery in the entire county. They experimented with several varietals before planting Syrah in 1978 - now the renowned Black Bear Block, it is the oldest Syrah block in the Central Coast. Visitors will be able to indulge in some of the best Syrah, Rhone, and Viognier varieties in the nation during their trip to Santa Ynez. During a visit there you’ll learn just how deeply rooted Zaca Mesa is to the Central Coast winemaking tradition. You can enjoy their quality wines in the rustic setting surrounded by scattered oak trees and towering mountains. Located in the beautiful Santa Ynez Valley, Gypsy Studio is a full-service art studio on wheels. Focusing on outdoor landscape paintings, the ‘studio’ can be found anywhere from the area’s beaches to the stunning wine country. Their signature Painting in the Vineyard events are extremely popular with guests and will let you try your hand at painting some of Santa Ynez’s most fantastic views while enjoying delicious wines from the local wineries. 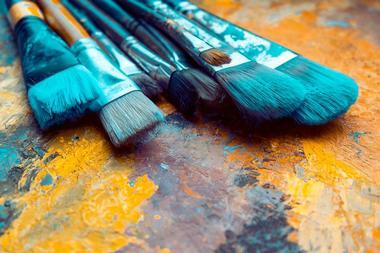 If you haven’t picked up a paintbrush since kindergarten, don’t worry - trained artists will walk you through the entire process step by step during this fun and creative experience. A family owned and operated business, Sky’s the Limit Ballooning has been providing the residents and visitors of Santa Ynez with a safe and fun opportunity to go on quality hot air balloon rides since it opened in 1994. All tours are conducted by experienced professionals, and often by owner and pilot James Lawson himself. 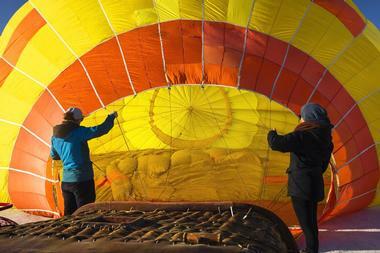 There are five rides to choose from: Del Mar Champagne Evening Flight, Santa Barbara Champagne Morning Flight, Temecula Champagne Morning Flight, a private balloon ride, or a glider ride. The Santa Barbara Champagne Morning Flight is one of the most popular and will table you over the stunning Santa Ynez Valley and includes champagne and complimentary banners for special occasions.